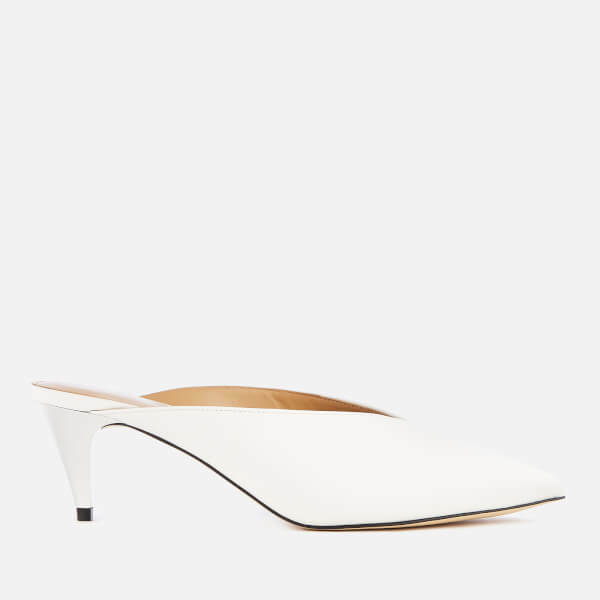 White leather mules from MICHAEL MICHAEL KORS. The ‘Cambria’ shoes comprise a slip-on style with a pointed toe and a silver-tone mid heel. A rubber sole ensures grip and stability. Complete with foil branding at the footbed. Upper: Leather. Lining: Synthetic. Sole: Rubber. Enjoy an Easter treat on us and save up to £50 on your favourite designer brands! Simply use code SAVE at the checkout.